so I have been crazy busy doing that. 1. Have eggs at room temp., and beat meringue to a stiff peak. until it flows like lava. give macronage a few more stirs. Test one by squeezing it through a bag or tip. 4. Drop pan several times on counter, then prick air bubbles with toothpick. 5. Let dry on counter at least 20 minutes. It will feel dry to the touch. Remove about 4-5 eggs from fridge and separate. Let the whites come to room temperature. Sift almond flour and measure out 110 grahams. Measure out 200 grams of powdered sugar. Sift the two together. Place in a bowl. Measure out 50 grams of granulated sugar. Add ¼ tsp. cream of tartar and stir together. In large bowl of stand mixer, fitted with whip, place 100 grams of room temperature egg whites. Begin whipping at a medium level, 4 on Kitchenaid. When whites become foamy, gradually sprinkle in the sugar and cream of tartar mix. Turn speed up and beat until the mixture is glossy and holds a stiff peak. The meringue will clump in the middle of your whip. Stir in gel or powdered food coloring at this point. Dump the almond flour mix into the meringue and begin to fold. After about 40 folds, the mix should be starting to be thoroughly mixed. after about 5-10 seconds. If it leaves a peak, stir again about 5 strokes. You do not want to over mix. Pipe into equal size rounds on a Silpat or parchment paper. then prick any you can see with a toothpick. You get a lot more bubbles with French Meringue, so be diligent on this. Let rest on counter for 20 minutes until tops are dry. Use a fan if in a moist climate. Bake at 340 for 12 minutes. Makes about 24 – 48 halves. Let cool, then remove and fill. Cover and let age on counter overnight. the moisture from the frosting. then adding remaining liquid as needed until you get a soft fluffy frosting. Don’t add too much or it will be runny. Too little and it will be stiff. Beat on medium high for 5-7 minutes. If desired, accent with edible gold for a crowning touch. Italian gold leaf, as it is more pure. the top of your left hand (if you are right handed). 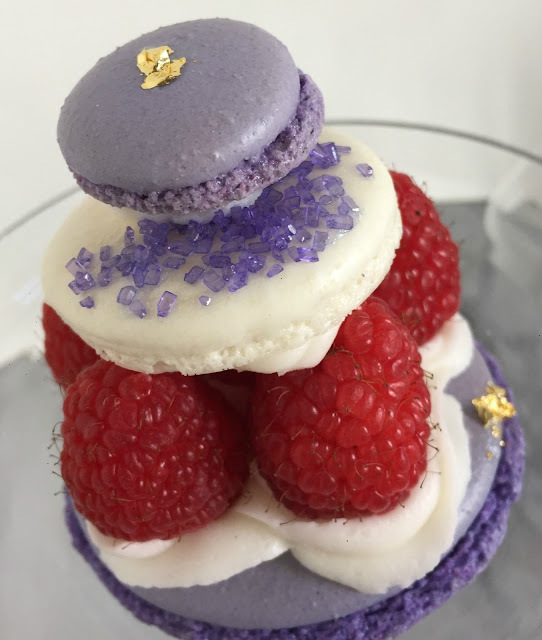 the macaron where you have smeared a little gel. A little goes a long ways, but adds the perfect touch. PUT A PLUME IN HER CHAPEAU AND CALLED IT MACARON-i! Simply gorgeous, as always. Welcome Back! I've missed you. 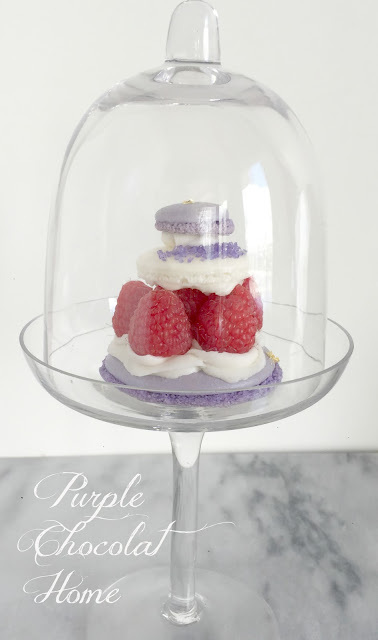 Beautiful dessert...what flavor macaron? I have never tried making these...afraid they will come out badly. Welcome home! Glad you had your month in the sun and surf. Love that you have been traveling again---so fun and I wish we were along! 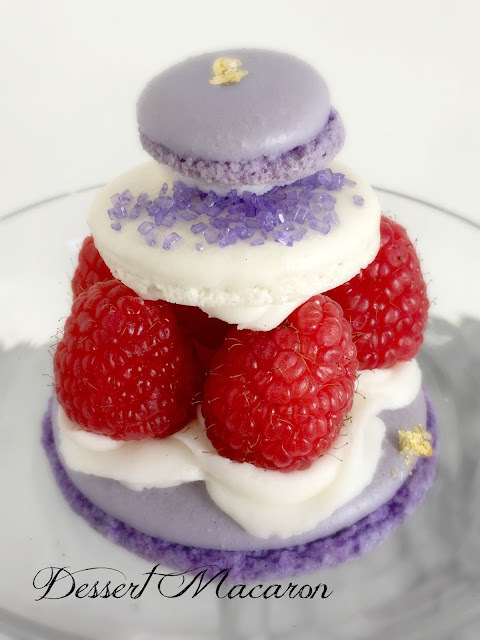 Love macarons but I know they are very involved any way you look at it. Bravo to you and many thanks for sharing your recipe and method! Oh a month in Cabo! Fabulous! I will probably never attempt macaroons, but it's fun to see your pretties! 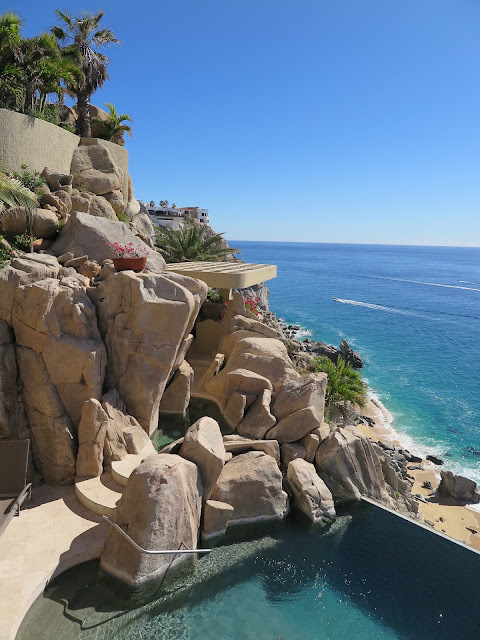 A month in Cabo, with lots of swimming, might (just maybe!) have me swimming enough to actually justify one of your creations! I'm gonna give 'er a go I first need a scale though! So yummy!